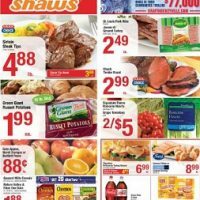 Shaw’s and Star Market are two American grocery store chains based in West Bridgewater, Massachusetts, employing about 30,000 associates in 169 stores. 156 stores are operated under the Shaw’s banner in Maine, Massachusetts, New Hampshire, Rhode Island, and Vermont, while Star Market operates 13 stores in Massachusetts. Until 2010, Shaw’s operated stores in all six New England states and as of 2011 Shaw’s remained the only supermarket chain with stores in five of the six after it sold its Connecticut operations. The chain’s largest competitors are Hannaford, Market Basket, and Stop & Shop. 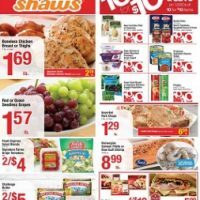 Star Market is a companion store to Shaw’s, having purchased the competing chain in 2004. 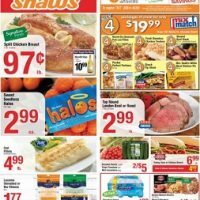 Shaw’s and Star Market are wholly owned subsidiaries of the Boise, Idaho–based Albertsons LLC. The combined chain has the largest base of stores that operate in New England, but is the third-largest behind Quincy, Massachusetts-based Stop & Shop and Scarborough, Maine-based Hannaford Bros. Co.; Hannaford operates stores in New York while Stop & Shop’s operation extend into New Jersey, but Shaw’s does business strictly in its core area. 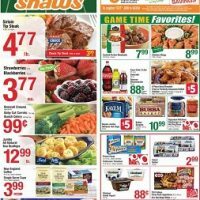 This week Shaws circular, Shaws weekly flyer and sales ad. 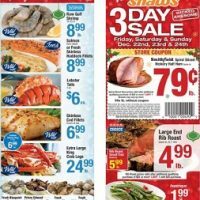 Best coupons, grocery specials and deals on iweeklyads.com.